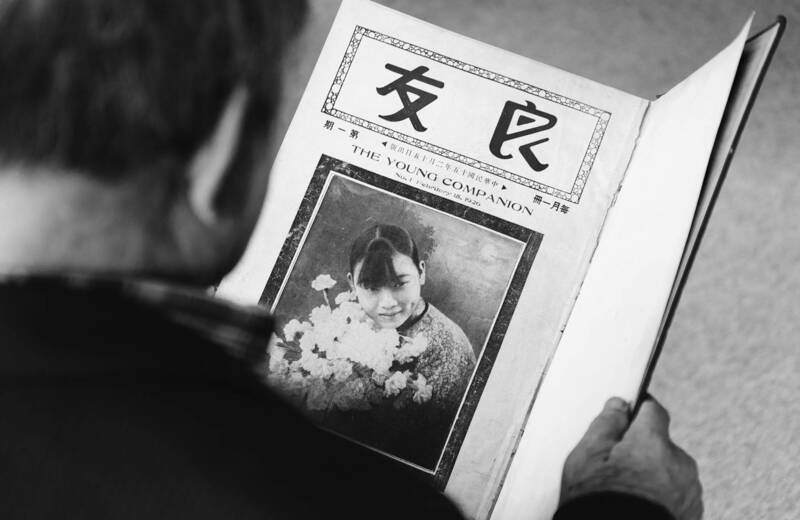 Vancouver, BC, Chinatown bookstore owner Peter Lau remembers his former mentor, Wu Luen Tak, the founder of The Young Companion pictorial. Many people came together that day to celebrate the anniversary of the long running Chinese language magazine. The restaurant soon filled with fans, friends, and family. In the afternoon, the event moved around the corner to Lau’s book-store, the Liang You Book Co., where attendees were given the opportunity to flip through his collection of The Young Companion’s back issues. The Young Companion, or Liang You in Chinese, was more than a magazine to Lau. It was how he met his mentor, Wu Luen Tak, the magazine’s founder. The Young Companion’s purpose, says Lau, was to showcase Chinese culture, as well as societies and landmarks from around the world. He says Tak was impressed with the content of foreign magazines and wanted to create a magazine for China. The Young Companion was based in Shanghai, China. The first issue was published in February 1926 and was a great success. Photojournalism was gaining popularity, and The Young Companion was one of the first magazines in China to take advantage of the trend. The magazine featured photography of landmarks from across China and other nations. Each issue is like a museum of illustrations, calligraphy pieces, and even comic strips. The cover of The Young Companion often featured a popular celebrity, and articles discussed pop culture and current events. According to Liangyou: Kaleidoscopic Modernity and the Shanghai Global Metropolis, 1926­ –1945, the Shu Lun Pan Accounting Office reported the circulation of the August 1930 issue was around 35,000 copies, while the average publication at the time would only sell around 1,000 to 2,000 copies per issue. The Young Companion showed Chinese people parts of the world at a time when average citizens rarely had the opportunity to travel outside their hometowns. Despite its popularity, The Young Companion struggled to stay in print during the Second World War, as war activity disrupted supply lines and affected distribution. The magazine took a hiatus in 1945, and relocated to Hong Kong in 1954 where they began to publish again. When the magazine launched in 1926, photojournalism was in demand. By the 1950s, however, the magazine was re-entering a more competitive market. Tak was just as resourceful when he published a book celebrating the 40th anniversary of The Young Companion. He compiled content from old issues to publish Magnificent China: Commemorating the 40th Anniversary of The Young Companion Pictorial in 1966; the book is over 500 pages long. The cover is elaborately decorated and embroidered with golden yellow thread. In 1969, American Notes and Queries reviewed Magnificent China, “…the book is exciting, useful, and perhaps even important because of the variety of its contents and its reminiscent reflection on the beautiful arts and great natural scenic wonders of Old China.” Magnificent China is Lau’s favourite memory of Tak, and he treasures his own copy. Although The Young Companion suspended production in 1968, Lau explains Tak was working on another compilation, but passed away in 1972. It was a sad memory for Lau who was by Tak’s side when he died. Lau inherited assets of the magazine. 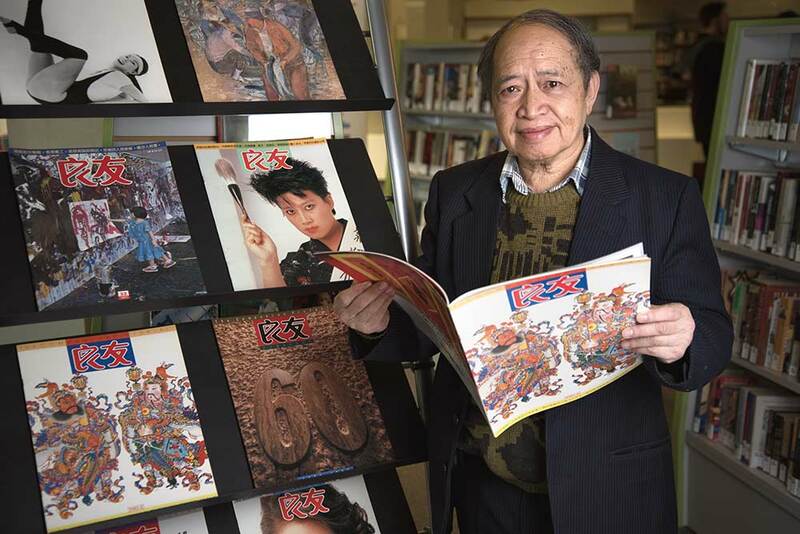 After immigrating to Canada in 1974, he opened the Liang You Book Co. in Vancouver Chinatown in Tak’s memory. In the 1980s, The Young Companion experienced a brief revival under Tak’s son, but ultimately ceased production. Lau wishes to run The Young Companion again, and looks to digital publishing for possibilities. To Lau, the legacy of his godfather lives on within the minds of The Young Companion’s readers. He hopes to have something special prepared for The Young Companion’s 100th anniversary in 2026. Magnificent China is Lau’s favourite memory of Tak, and he treasures his own copy. A Vancouver art gallery sends new artists across the Pacific on a cargo ship to foster their creativity. The nations of the Pacific Rim have a rich history of producing films that are recognized and beloved around the world. 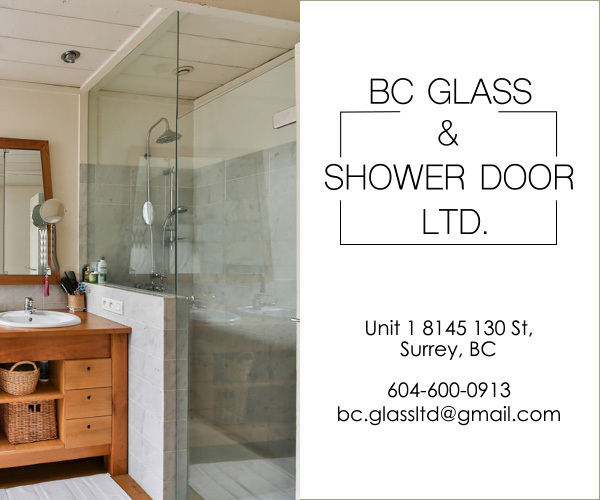 Sanctuaries such as the Bloedel Conservatory and Greyhaven Exotic Bird Sanctuary give abandoned exotic birds a home. Julian Law’s 18-year love affair with the Sun Yat-Sen Chinese Garden.